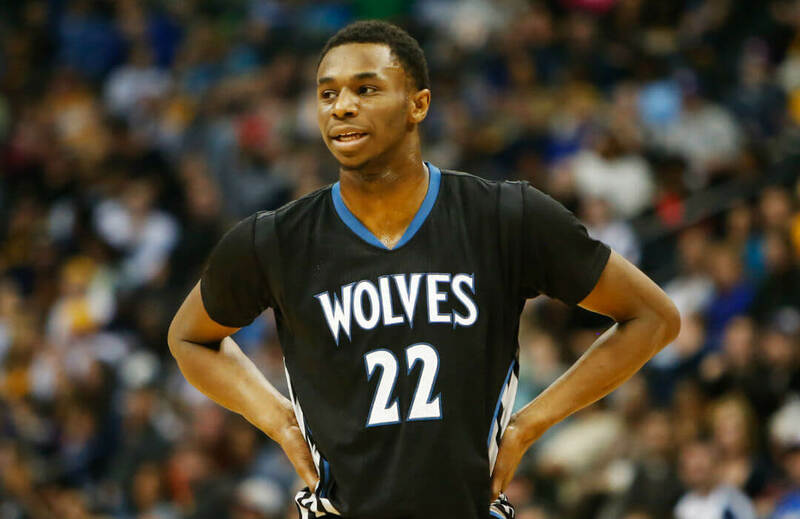 Andrew Wiggins was struggling from deep all night, but he knew he had what it takes to make one when it counts. Wiggins downed a 30-foot, buzzer-beating, three-pointer as the Minnesota Timberwolves escaped the fighting Oklahoma City Thunder 115-113 at Chesapeake Energy Arena. Carmelo Anthony completed the Thunder’s comeback from a 13-point deficit entering the fourth quarter and gave the hosts a 113-112 lead with a clutch trey with 5.1 seconds left, but Wiggins, with some help from a pick by Karl-Anthony Towns, was able to bring the ball past the halfway line before heaving the game-winning bank shot. The Minnesota guard-forward made only two of seven attempts from the arc but finished 10-of-20 from the field to scatter 27 points, along with seven rebounds and four assists for the Wolves, which got 27 points and 12 rebounds from Towns. Anthony ended up with 23 points for the Thunder, which lost their second straight game following their loss to Utah, despite reigning MVP Russell Westbrook scoring 31 points with 10 assists. Paul George, the third of OKC’s Big 3, shot 6-of-20 from the field and scored 14 points with eight assists. Minnesota, who beat Utah in their last game, won for the second straight fixture with some thanks to Jeff Teague, who scored 19 points with nine assists, and Jimmy Butler, who ended up with 15 points, six rebounds and six assists. Taj Gibson added 11 markers and 10 rebounds. The visitors rode a hot start from Gibson to erect a quick lead early in the first quarter and enter the second half ahead 61-54, which they enlarged at the end of the third to 88-75. But a five-to-zero run start to the final frame saw the Thunder ignite a comeback, and a three-pointer from Anthony saw OKC climb to 87-90 halfway through the last quarter, and Steven Adams completed a three-point play to make it 105-106 with 1:50 left before Westbrook knotted the match at 110 with a three-pointer. Westbrook finished 50% from the field after making 12-of-24 attempts in the game, and was able to do it in the clutch as he scored 15 of his 31 points in the fourth quarter just as the Thunder was coming back from a large deficit. But his backcourt partner Andre Roberson was almost nowhere to be found, ending the match scoreless after missing all four shots. Raymond Felton and Alex Abrines combined for 16 points off the bench to ignite the comeback, along with Jerami Grant, who scored 12 points on 4-of-5 shooting.